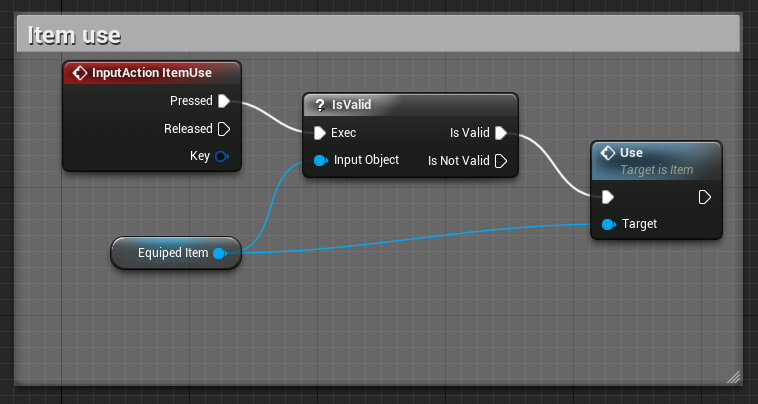 So I'm trying to add items to my game and it works fine when I use PIE but when I try to package it, this part of the player blueprint causes this error in the output log. What should I do to fix this? You need to look in your PlayerCharacter and see whether or not any functions called 'Use' or 'Item_C' are being called. If you renamed them, that could be the issue. I'd also suggest deleting your Intermediate and Saved folder. I'm marking this topic as resolved for tracking purposes, as we have not heard from you in a few days. If this issue persists, feel free to respond to this thread. For any new issues, please create a new Answerhub topic.